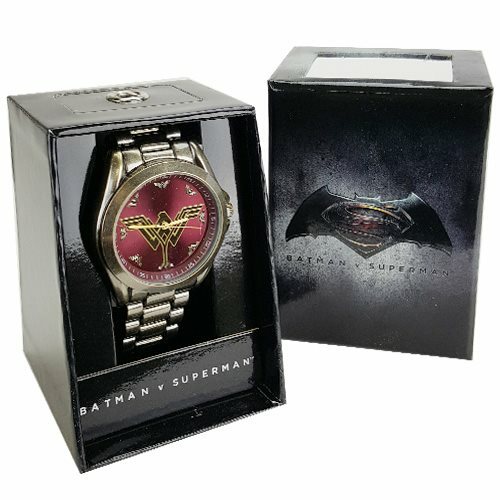 Shopping for Batman v Superman: Dawn of Justice Watches? Make sure you always know what time it is with help from Wonder Woman! This Wonder Woman Logo Bracelet Watch has a cool, golden design with the Amazon Princess's logo. With Japanese Quartz movement and a bracelet-style band, strap measures approximately 8 1/2-inches long and the face is about 1 3/4-inches in diameter. Ages 13 and up.